Way back in 1994 a camera was trained upon a lonely fishtank within the as yet unknown company Netscape. 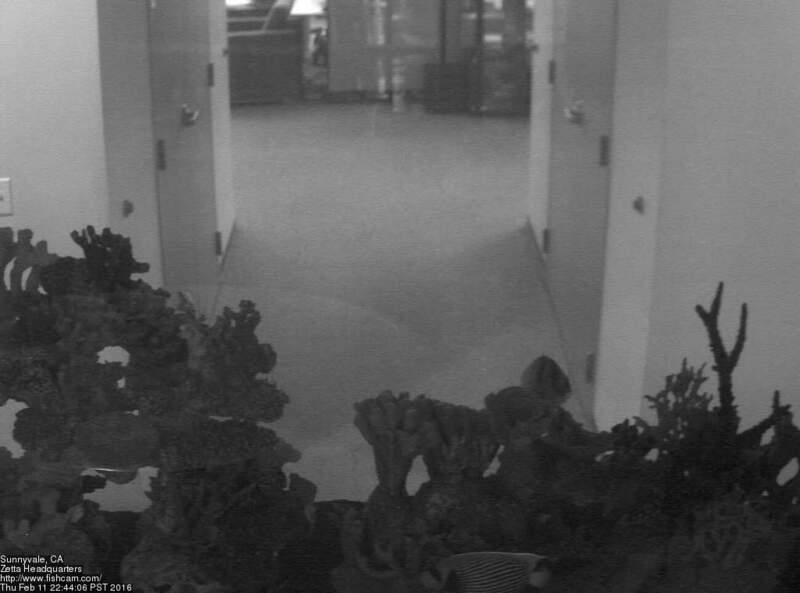 The FishCam transmitted live images of the fishtank to the emerging new landscape known as the World Wide Web. The FishCam was the second live camera on the web and is the oldest camera site still in existence. Please note: If the picture is black & white or very dark it probably means the lights are off. The camera has an IR mode for night time viewing with two IR illuminators.